Layer1: Seaweed Filtrate is a concentrate of freshly harvested seaweed. It softens lines, adds moisture and helps rebalance and tone skin tissues. Layer2: A three-movement facial massage is given with a creamy hydrating formula. Lasting benefits include improved circulation to blood vessels. Layer3: The fresh seaweed mask is mixed before your very eyes. The mask feels cool as it is stroked onto the face and throat, adding moisture, eliminating toxins and nourishing skin as it soothes. 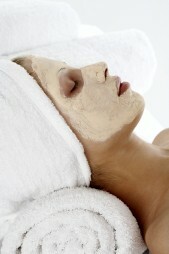 Layer4: The mineral mask is the grand finale, improving skin tone and creating more even skin color. 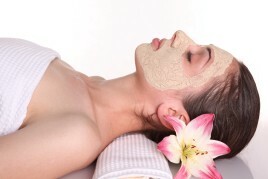 It creates its own gentle warmth to activate the properties of the seaweed mask beneath it.